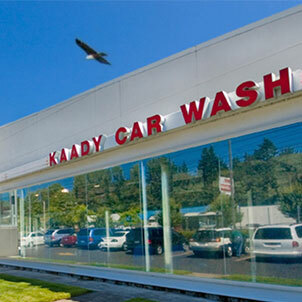 Founded in 1976 to serve the Portland/Vancouver area, Kaady Car Washes has since expanded south to Corvallis, Oregon, and to the Bay area of Northern California. Over the years, our goal has been first and foremost to satisfy our customers, which has led us to develop our own patented equipment and sophisticated cleaning chemicals, creating the world’s most advanced car washing system. The result: a state-of-the-art service that is quick, convenient and beneficial to your vehicle and the environment.